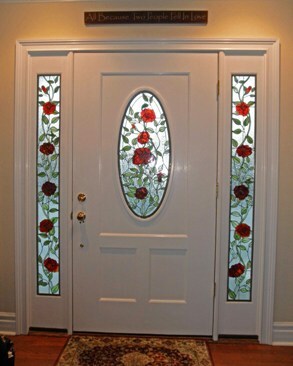 The Gallery shows a small selection of examples of Sidelights, Door Panels, Transoms, Sash & Casement window panels, all for use in Kitchens, Bathrooms, Bedrooms, and Living Rooms. 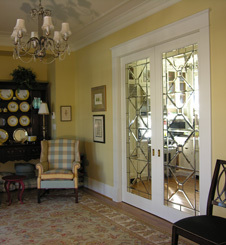 They can and have been used as Rooms Dividers and Valances. 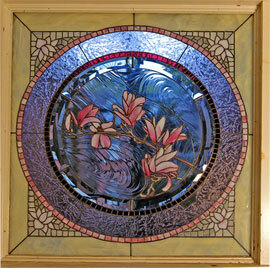 Kitchen cabinets can be fitted with custom stained glass or decorative glass of all kinds. 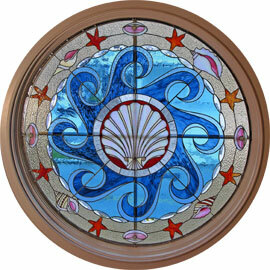 Recently, Fire Place Screens have been requested and are now available by special order. All carpentry and or metal work is outsourced or supplied by the client.